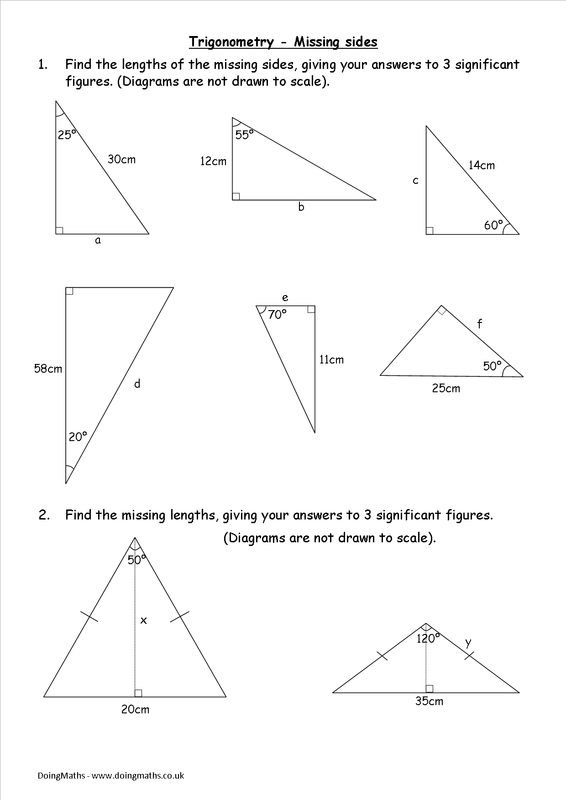 Here are maths worksheets relating to finding missing sides and angles using trigonometry. We have resources on using sine, cosine and tan on right-angles triangles, isosceles triangles and more. A worksheet with various right-angles and isosceles triangles where trigonometry is needed to find the missing side lengths. This worksheet uses cos, sin and tan. 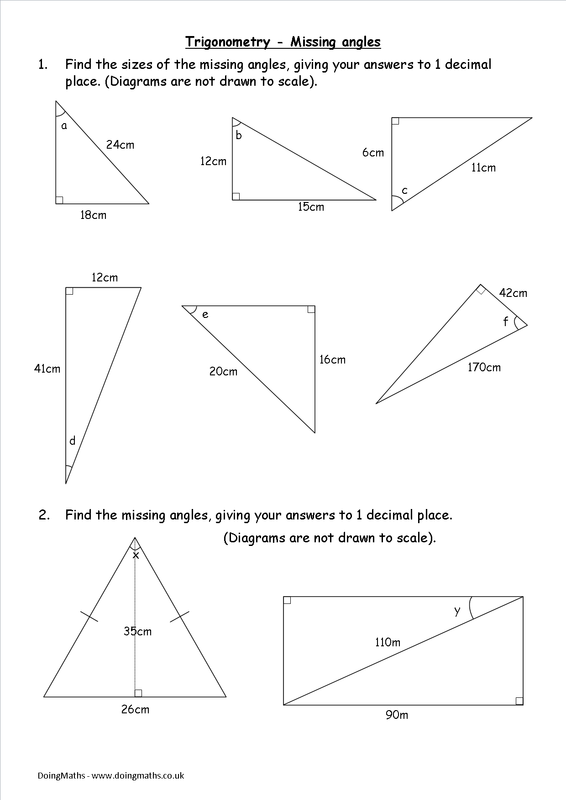 A worksheet containing various right-angles triangles with missing angles, requiring the use of trigonometry to find them. This worksheet use sin, cos and tan.